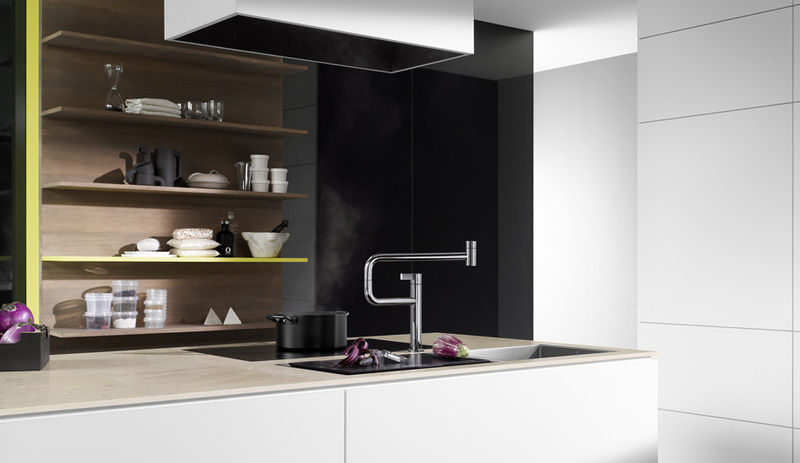 A highlight of the Cologne fair, running until January 20, the LivingKitchen expo shows off the latest cabinetry, appliances and fixtures for the hub of the home. 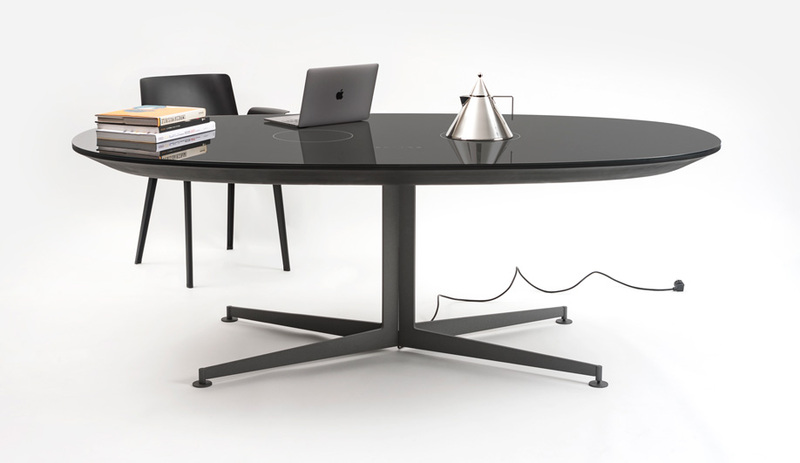 Here are five highlights, from Neff, Dornbracht and more. Danish industrial designer Pia Würtz’s vibrant kitchen system is an attention-grabber in a sea of stone and steel models. 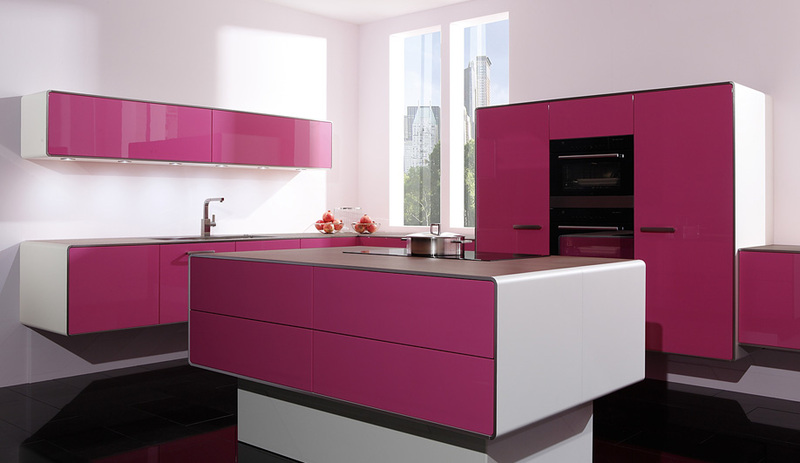 Colourful and soft-edged, the system’s stainless steel frame is clad in mauve and white lacquered fronts for a feel that’s at once contemporary and comfortable. Wall-hung cabinetry is complemented by an island with toe-kicks and smartly integrated storage. 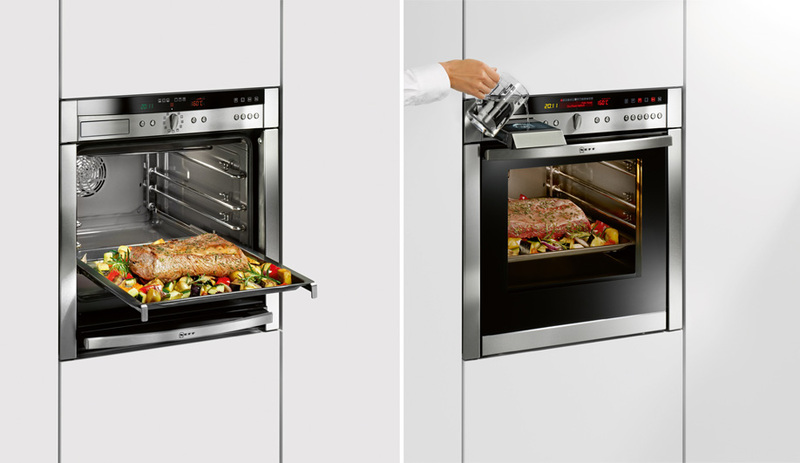 Compact and intuitive, Neff’s trademark built-in oven, integrating a fully retractable oven door and a sliding handle, was launched in 2010. 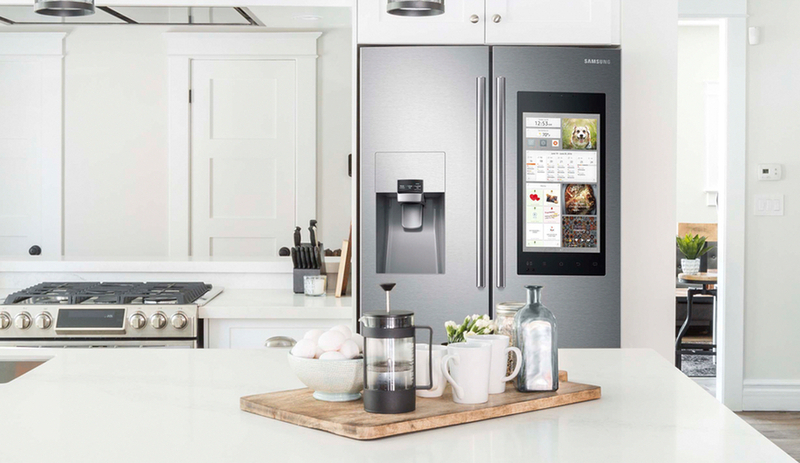 Now the Slide & Hide comes with a steam option, which features up to 13 automatic programs that virtually take over roasting, baking or cooking duties from the home chef, using optimal heat and moisture. 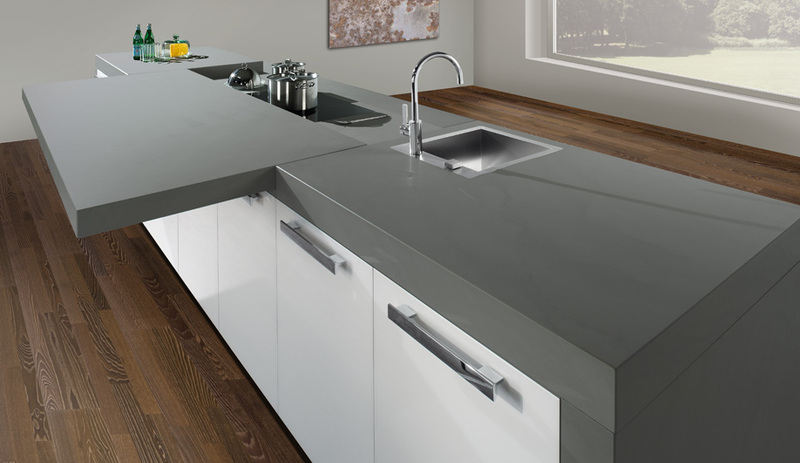 This glass kitchen island sporting a granite countertop with a sliding section earned Germany’s Häcker an Interior Innovation Award. 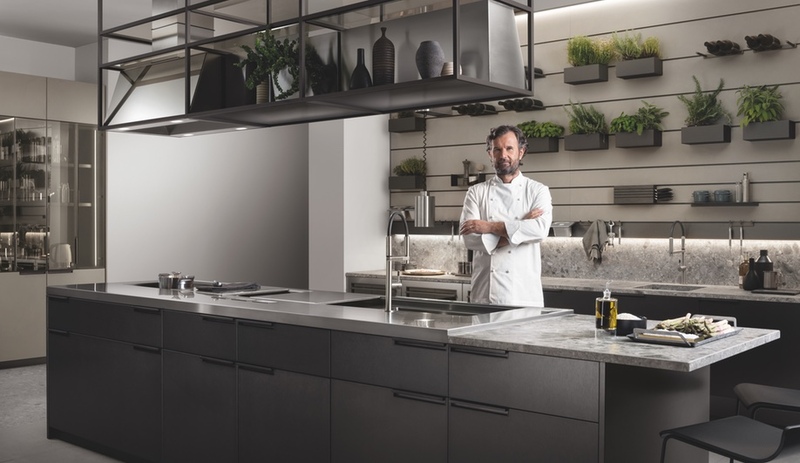 The extendable panel slides along an invisible guide system, covering an induction cooktop or rolling out to provide a dining or work surface large enough for four. 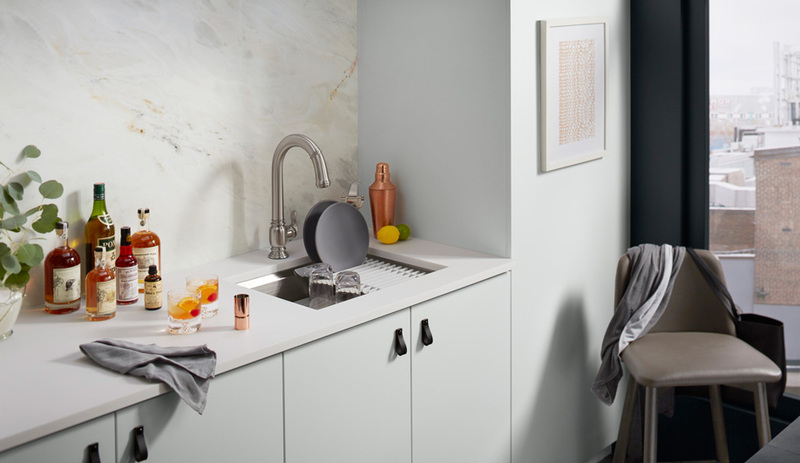 A pot-filling faucet that rotates 360 degrees and has a 55-centimetre range, this Seiger-designed product is turning many heads. 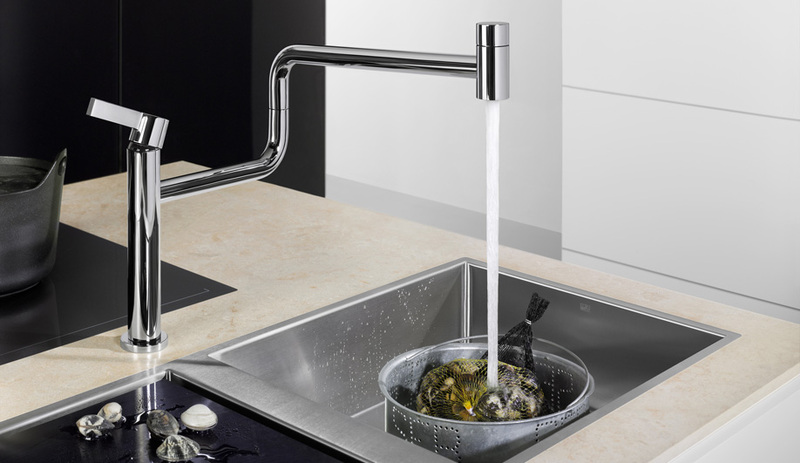 Perfect for an island, where it allows for cooking and cleaning with maximum ease, the minimalist and ergonomic single-lever mixer comes in chrome and matt platinum finishes. Another Innovation Award recipient, Leicht picked up a trophy for a shelving system with individually lit, removable ledges and a slatted door that opens and closes automatically. 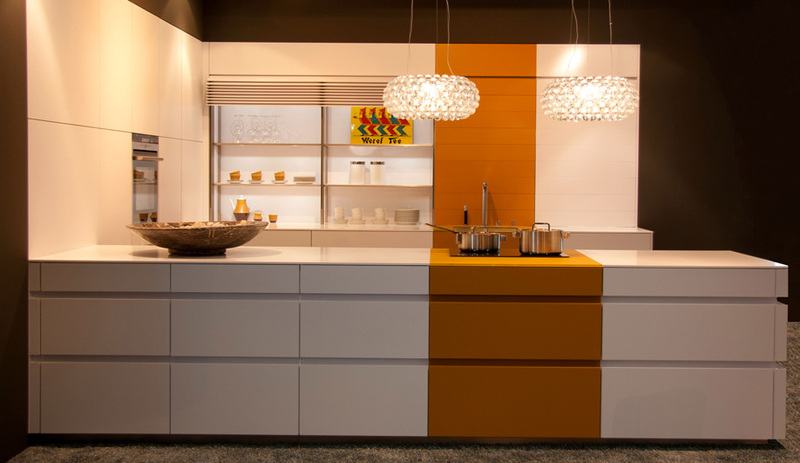 At the click of a button, it rolls down to cover the cabinet interior for a calm, consistent wall of colour.